Joe Diffie to be Special Guest for Old Dominion on July 25! Home › Latest News › Joe Diffie to be Special Guest for Old Dominion on July 25! 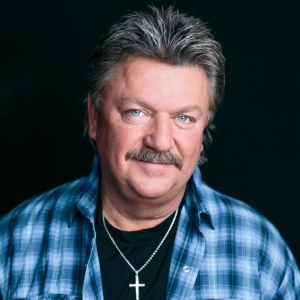 (PASO ROBLES, CA) – The California Mid-State Fair is pleased to announce that country music legend Joe Diffie has been confirmed as the “special guest” for the Old Dominion concert on July 25, 2019. Diffie will take the Main Grandstand Stage at 7:30 pm and will perform ahead of Old Dominion. Tickets for the concert can be purchased at www.MidStateFair.com or by calling 1-800-909-FAIR. The beauty of country music is its ability to reflect the lives of its listeners, and few artists have celebrated life’s challenges and triumphs with more heartfelt eloquence than Joe Diffie. Whether singing about untarnished love in the enduring hit “John Deere Green,” the perennial appeal of “Pickup Man” or the heartbreak of dreams unrealized in “Ships That Don’t Come In,” Diffie’s songs have continually painted a portrait of real life with all its joy and angst. That simple barometer has served Diffie well throughout his career and continues to do so today with the title track of his forthcoming album I Got This. The up-tempo number proclaims what every man wants to say and every woman wants to hear: “Ain’t no load gonna get too heavy/Ain’t no bolt on this old Chevy I can’t twist/I can run the blade on a D8 ‘dozer//With the same hand I can pull you closer/Girl, if all you need’s a long, slow kiss, I got this.” Part mechanic and all romantic, Diffie exudes the good-natured charm that has made him one of country music’s most revered statesmen.